I know you must be getting excited about Thanksgiving! Here at Booth we have been busy as ever on campus before everyone heads out for the holiday. 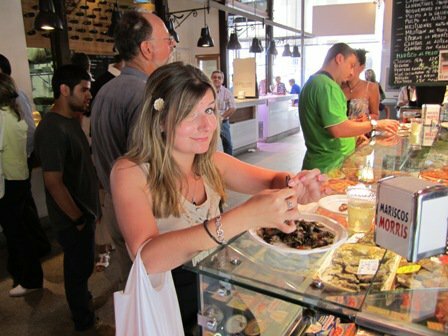 This week, we check in with our Entrepreneurship Correspondent, Dana, on Seedcon 2011. Seedcon 2011: It was the perfect close to what was a very exciting Booth Entrepreneurship Week (BEW), which was brimming with events targeted towards students interested in VC and entrepreneurship. Seedcon is the annual entrepreneurship and venture capital conference at Booth. This year, the conference spanned two days and included a fast-pitch competition, panels, and a fireside chat with 37signals co-founder Jason Fried. Panel discussion topics included “What’s in the Future for Non-Technical Entrepreneurs?”, “VCs, Angels, and Accelerators,” and “Big Data, the Next Big Thing.” For me, the data panel was especially interesting. As an undergraduate, I interned in the marketing research department of a firm that had a wealth of subscriber data. At that time, marketers were just beginning to realize the importance of this data and the potential to create more targeted, relevant advertising. Based on the advances in data analytics discussed in this panel, the old pop-up/ banner advertisement model is a notion of the past and marketers should come to rely on real-time information much more heavily. As I create my team for the New Venture Challenge, I now understand the role that my data analytics/ research team member will have to fulfill. 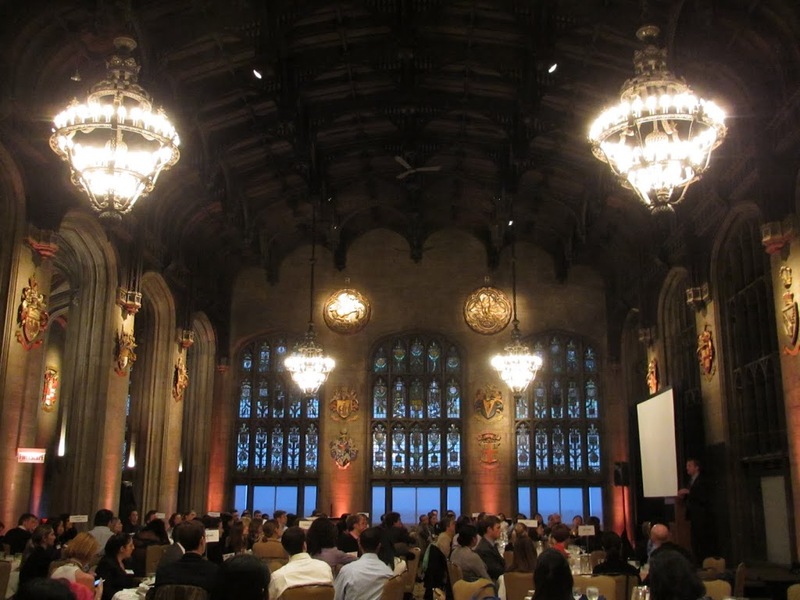 It was also very motivating to see that the Chicago entrepreneurship scene is alive and well. Throughout the three panels, there was no shortage of excitement for the startups that are emerging from Chicago. Chicago has quickly become an entrepreneurial hot-spot; panelists believed that unlike other entrepreneurial cities in the US, Chicago has a much “flatter” network with fewer gatekeepers. This collaborative environment, with members of the community willing to connect with one another, makes Chicago the ideal city for those looking to start a business. I’ve been a fan of Signals vs. Noise, 37signals’ blog, for quite some time now and rushed out to purchase the blog-inspired book, “Rework,” as soon as it was released last year. It was a real treat to have Jason Fried speak to us candidly on topics related to startups. Jason was quick to point out that data is not the end-all, be-all (ironically, this came after the data panel) and that it is important for entrepreneurs to trust their intuition. Jason also had a great point that truly resonated with me: “focus on doing one thing and do it really well first.” Sometimes, as I synthesize ideas for my business or reflect on the multitude of directions that certain ideas can take me, I have the tendency to get very distracted or overwhelmed. Jason’s advice reminded me that I should focus on the core of my business plan, before expanding into various directions. Seedcon was a fantastic learning experience and I am proud to be amongst the company of so many innovative minds at Booth. Many thanks to the Polsky Center and EVC for coordinating Seedcon and for providing countless outlets to foster the collaborative spirit of entrepreneurship. Hi everyone! This week we take a look inside Recruiting at Chicago Booth. In our Wednesdays in the Winter Garden video segment, we ask 2nd years and 1st years about how their experiences at Booth have helped shape their career ambitions, and how Booth’s community has helped in their career transitions. 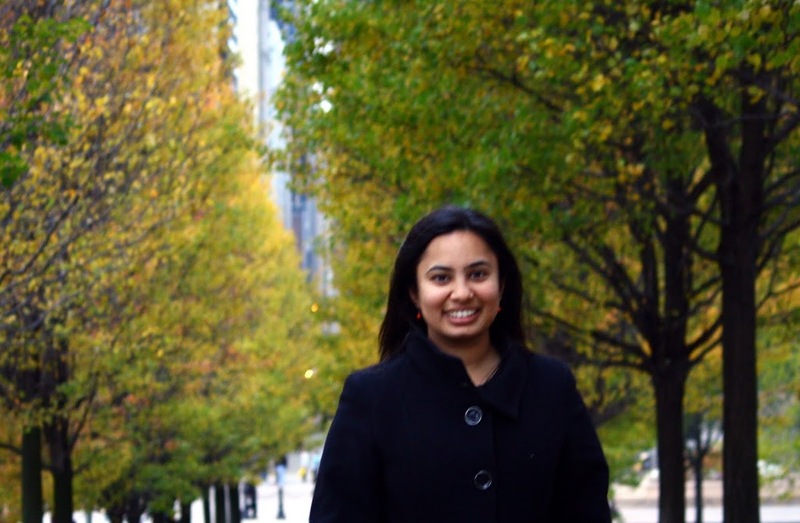 In this week’s blog, Nupur writes about learning to navigate the recruiting process as a 1st year. You’ve heard it before: Your job hunt at business school starts before you even get there – my mentor mentioned this to me before I came to Booth – and having been in school for 10 weeks now, I can tell you how true this is from my own experience. As soon I accepted my Booth offer, I began receiving invites to pre-MBA networking sessions at firms in the industry I was hoping to break into post Booth. The value of the Booth brand was on display even before I arrived at Hyde Park! Having left a job at UBS that I quite enjoyed a little over 3 months prior, I did not expect the recruiting process to pick up so soon! The process itself is intense and particularly informative if you are exploring alternate career paths or switching careers. Booth however has a great support system and infrastructure in place to help navigate the process – from the impressive career services team to second years and alumni, all of whom are extremely eager to help you navigate the process. The strong reputation of Booth’s Career Services staff was a key factor in my decision to come here, and I’m pleased to report that the resources and training made available to me to date has far exceeded my expectations. Each week we have a designated 3 hour slot for career services programming. These sessions cover a wide variety of topics ranging from crafting resume bullets, to building your elevator pitch (refer to Chloe’s earlier blog on mocktails) and conducting informational interviews. Last week I had a session on drafting cover letters, and I’m finding it extremely useful to go through the various templates that were shared as I begin drafting my own! Additionally the career services team has a librarian dedicated to helping you conduct research on the firms you are recruiting for. She helped me reduce the number of hours I was spending researching firms significantly and I have class mates looking at starting new ventures who have gotten a lot of their consumer data quickly by just approaching her. This week I’m looking forward to the session on conducting informal and formal interviews. Every day as I walk into the Harper Center, I glance at the various TV screens that display the day’s on-campus events, and continue to be amazed by the number and diversity of companies that Booth attracts. In the last three months I must have attended over 50 corporate presentations, networking nights, lunch and learn, and breakfast and learn events (free Starbucks at 7am is awesome!). Most firms visit campus several times within one quarter, and this allows us to engage with senior Partners from a variety of different backgrounds. It really allows you to gain a holistic perspective of a firm: what type of work you might do, what type of people you might work with, and whereabouts in the country (or abroad!) you might like to work. In addition to all the phenomenal on-campus networking opportunities that exist, several firms are eager to host Booth students at their company sites to really get an up-close look at specific opportunities. Last week I visited a firm headquartered outside Chicago where Booth alumni had organized a full day of events exclusively for current Booth students interested in interning at the firm. They brought in several senior executives to talk to us exclusively and, perhaps most telling, at the lunch event, 6 of us Booth first years had the opportunity to speak to over 15 Booth alumni who were more than happy to share their experiences with us and help us through the recruiting process. The alums are an integral part of the Booth community that eagerly provides support and assistance in your career search, and staying on that theme, so are second year students! Second years have been an amazing resource for me, not just in terms of learning about the firms that they spent their summer at, but also in terms of helping improve my profile and fit for the companies I am targeting. Sitting with a second year Career Advisor for just 30 minutes completely transformed my resume (just a side note, count on having about 20 different versions of your resume while you’re here!). 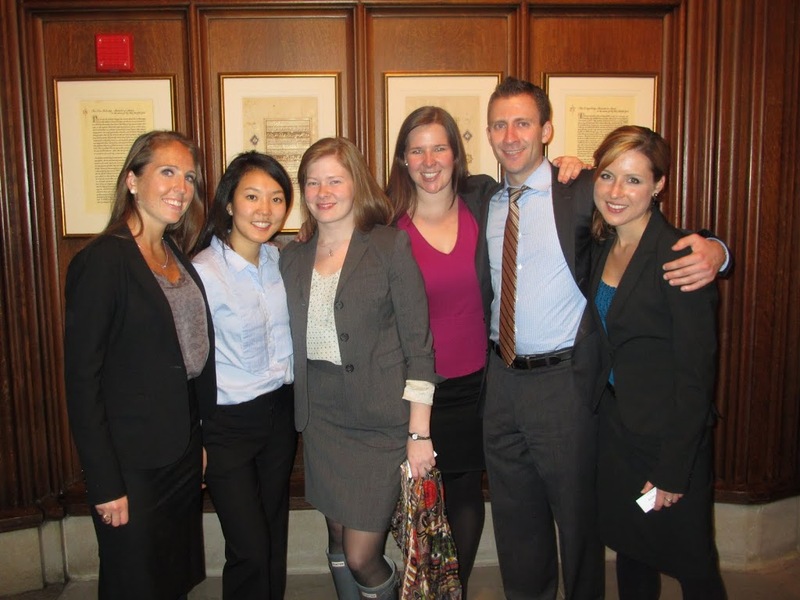 The second years have also been extremely approachable and willing to be a source of advice not just for careers, but for life here in Chicago. In spite of their own hectic recruiting schedules, second years are always looking to help in whatever way they can. There is really a pay it forward mentality here, and I look forward to doing the same next year!! The various industry clubs at Booth are yet another fantastic platform to meet more firms and get advice on recruiting. The co-chairs of these clubs are very well networked with the HR teams of most firms in their respective industries, and they help organize a multitude of events. Each club also organized a resume review session with their members, which was especially helpful. Last week I attended a session organized by one of the clubs on interview preparation and leveraging my resume during informational sessions with firms. Resumes, cover letters, informational interviews, coffee chats, corporate conversations, case interviews, fit interviews, closed lists, recruiting events, lunch n learns, breakfast n learns, cocktails, mocktails… the list goes on; but with the resources at hand I feel confident that I will be well prepared to tackle interview season! Below are pictures from a conference recently held by the Marketing Group, an example of one of many career-oriented events put on by students to connect with prominent industry leaders and alumni. Pictured here: Panel on Innovation. Panelists included executives from American Express, PepsiCo, Groupon, and Campbell’s. 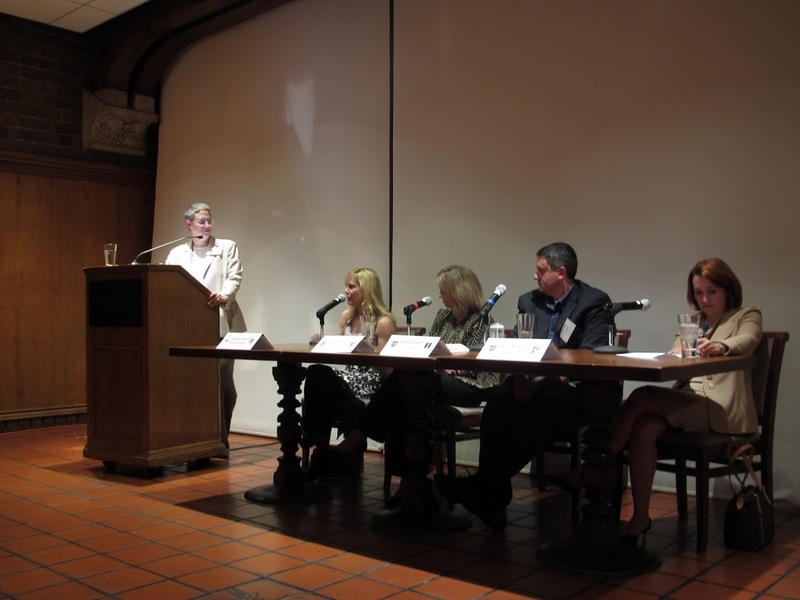 The panel was moderated by Professor Waverly Deutsch, of the Entrepreneurship department. 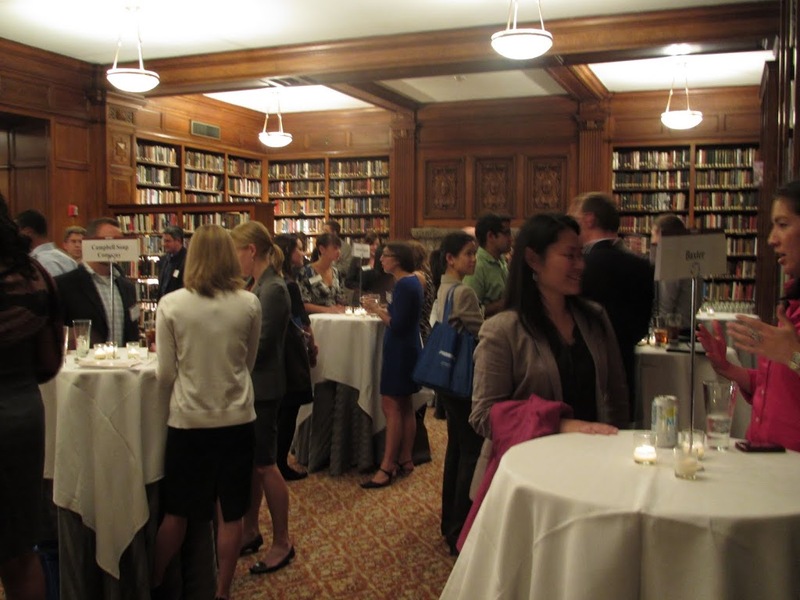 The evening concluded with a networking cocktail hour between students and representatives from sponsor companies. Congratulations to the 2011-2012 Marketing Group Co-chairs on a successful event! Click here to learn more about the Marketing Group. In this week’s blog and WIWG video, we’re going to talk a bit about the academics at Booth. In our WIWG video, we ask students what their favorite class and/or professor has been so far. And in our blog today, Dana Fortini shares her thoughts on classes and Booth’s class bidding system. Read on to learn more! I can’t believe that midterms are over and that it’s time to start selecting courses for the winter quarter; time sure passes quickly! Here at Booth, we use a system called iBid to bid for and enroll in courses. iBid is a Dutch-auction system where students are given bid points (new full-time students start with 8000 points and accrue 2000 points for each additional course they complete). There are 6 phases of bidding during a bidding cycle, so if you would like to make adjustments to your schedule during the first few rounds, you still have time! In order to help students better understand how to spend our bid points, there are Course Price History spreadsheets that detail closing prices on a section-by-section basis for past courses. You’ll also hear many students talking about their “Bid Strategy” during the week leading up to the first phase of bidding. Strategic bidding aside, I feel as though it is important to select a combination of courses that will best prepare me for summer internship opportunities and have a quantitative-qualitative balance. From previous experience, I know that I can feel overwhelmed with three or four very quantitative courses, so I like to add “balance” to my course load by taking at least one management-oriented, people-driven course each quarter. So now I’ve gotten through the tough part: narrowing down the list of courses I would like to take during winter quarter from 7 to 3. I am dying to take “Building the New Venture”! The course is great for students who would like to start their own businesses. The class focuses on both strategic and tactical issues that arise from entrepreneurial endeavors. Because I would like to enter the New Venture Challenge competition this spring, I believe that Building the New Venture would be great preparation because of the course’s emphasis on building teams and identifying customers. After reviewing the Course Price History spreadsheet, it looks like I’ll have to be a big spender – this course is one of the most expensive at Booth! I would also like to take my first course to apply towards my International Business concentration, “Managing the Firm in the Global Economy.” If given the opportunity, I would love to have an internship with a wine exporter or distributor in Spain. The course focuses on legal implications and export decision making, amongst other issues that global firms face. If I do end up working abroad, having a working knowledge of how firms make decisions to enter specific markets will be a very useful skill to have. And last, but certainly not least, my Excel skills could definitely be refined. No matter what functional area of an organization or industry you’re in, strong Excel skills are crucial. I plan to take “Managerial Decision Modeling” in order to better utilize Excel’s analytical tools and to get plenty of hands-on practice before my summer internship. As you can see, Booth’s academic flexibility definitely helps each student create an individualized program of study that will ultimately allow us to realize our goals. I can’t wait to take my first entrepreneurship class (fingers crossed my bidding strategy proves successful!). Happy bidding! 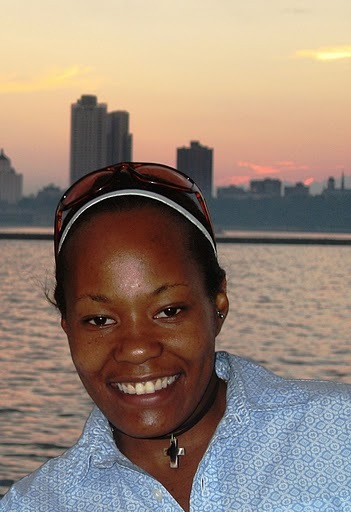 This week, Chloe Williams blogs about Chicago Booth’s flagship LEAD program. There is only one class that is required in the Chicago Booth curriculum. That class is LEAD. LEAD stands for Leadership Effectiveness and Development. As described on the Booth website, this course is designed to enhance students’ self-awareness and interpersonal effectiveness through a series of challenging, yet fun, classroom sessions and events. When I first read that, I thought it would be a fluff class that talks about feelings. I figured we would do a few Myers Briggs assessments, everyone finds out they have a type-A personality, and life goes on. A little cynical, but I had been through those tests, along with 360 degree assessments, and other “find out about yourself” tools many times over the last few years. But I realized that LEAD was different…much different. First, the course starts off with a three-day retreat in Wisconsin for all first year students. The class is split into 10 different cohorts with approximately 58 students each. While in Wisconsin we do ropes courses, improvement exercises, and have an abundance of social events to break the ice. Then we come back to Chicago and start the good stuff. We meet once a week for six weeks and cover a different LEAD module each week. 2nd year students teach the class and we tackle issues such as ethics, conflict and integrity, giving and getting feedback, interpersonal communication styles, and of course, team dynamics. The modules are seemingly independent but it all comes together at the end of the six weeks with two events called “LEADership Challenge” and “LEADership in Crisis.” A group of students (10 for LEADership Challenge, 4 for LEADership in Crisis) is selected by each cohort as representatives in each of the challenges. I can only speak to LEADership Challenge as you can only participate in one. Also, given the nature of the day-long challenge, I am not able to disclose all of the details. But trust me when I say that these challenges are where all of the modules and concepts in LEAD come together. Prominent alumni come to Chicago from all around the country and spend a day in the Harper Center with the cohort teams. There are challenges to be completed and the alumni play an interactive role in all of the challenges. These tasks require dealing with all of the concepts brought up in the modules. You get to see your fellow classmates in situations you never imagined, and understand how all of the different components of the leadership course fit together. My initial skepticism of LEAD was blown away by this event, which has to date been the most rewarding experience of school. Lesson for all: Pay attention in LEAD and you’ll do well in the Challenge! “Live” from the Chicago Women in Business Conference! This week is our unofficial “Women’s Week” on The Booth Experience – it’s like “Shark Week” on the Discovery Channel…but so much cooler! 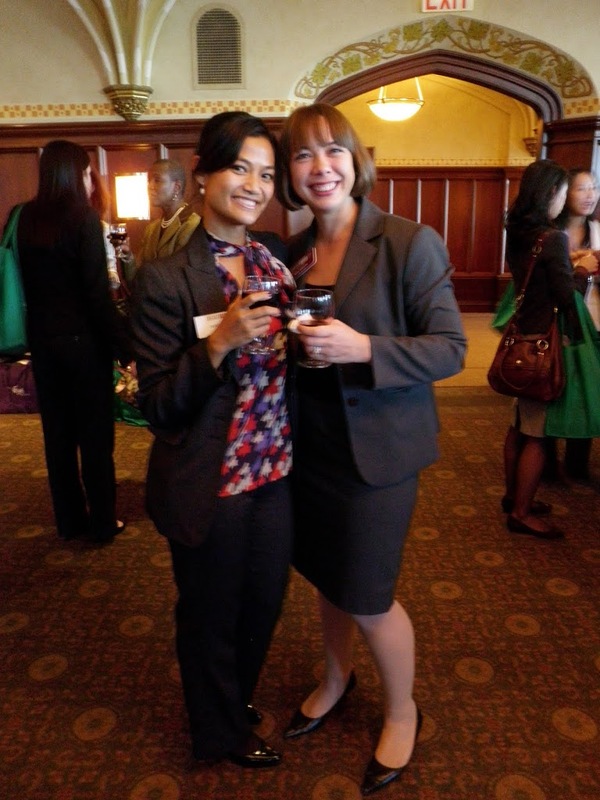 This week’s blog post is from the CWIB (Chicago Women in Business) Conference, and this week’s (WIWG) Wednesdays in the Winter Garden video reports “live” from the conference as well. Keep reading to get a flavor for the opportunities open to one of Booth’s largest and most active student groups. 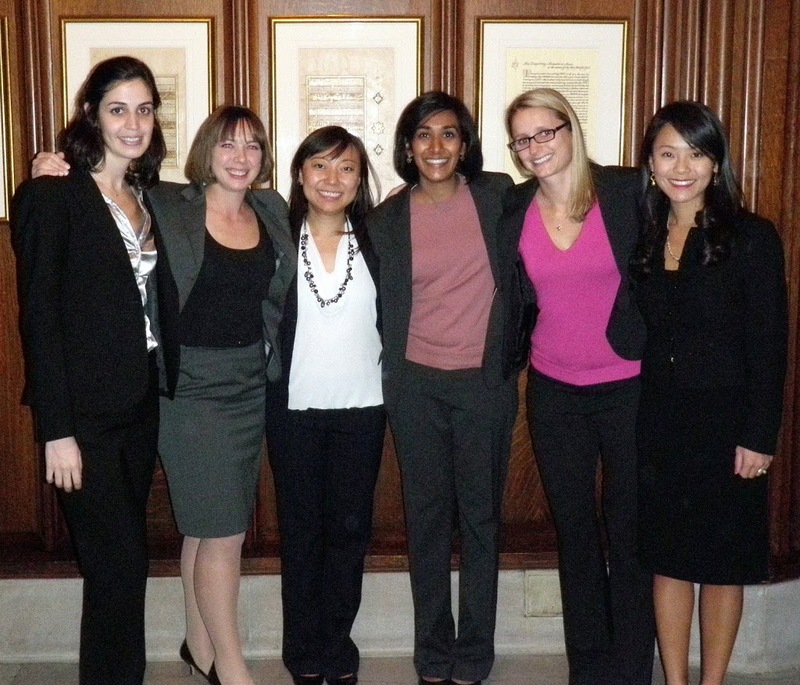 Last week, Booth’s Chicago Women in Business Group (CWiB) hosted its annual fall conference. This year’s theme was “Get in the Game” and after engaging with all the speakers, I can attest the 190+ participants were more than eager to ensure we left our mark not just on the corporate world but in every sphere of our lives. 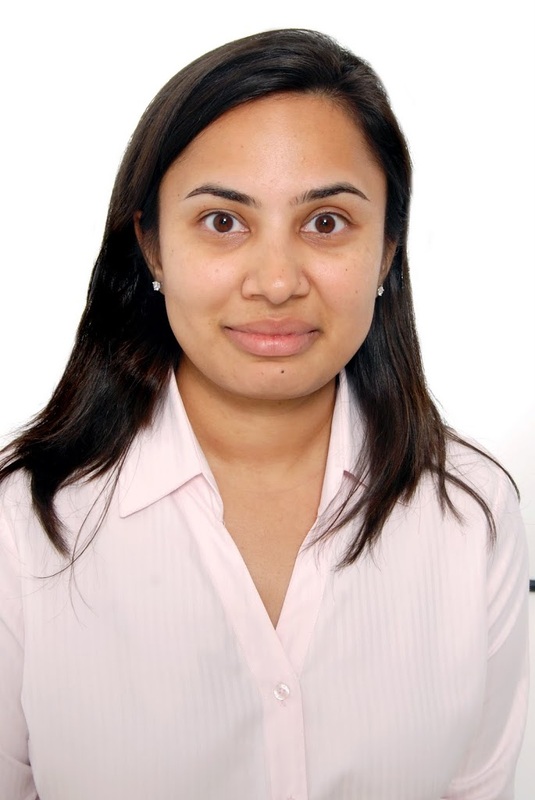 But before I jump into the details of the conference and the impact it had – a brief introduction on me: My name is Nupur Bhargava and I’m a first year student at Booth. I’m originally from India, and moved to Singapore 10 years ago for high school. I graduated with a double degree in Economics and Business from the Singapore Management University in 2007. My career began at UBS’s rotational leadership program during which I did research and strategy. Upon completing the program I spent two years doing Marketing and Business Development work for UBS’s private wealth management business in Asia-Pacific. With an undergraduate degree in business, the flexible curriculum and extremely welcoming and close-knit student body were the main reasons I chose to come to Booth. In the last two months, the second years have often gone out of their way to give us career advice and help us with our resumes, and have even offered to put us in touch with their own personal networks. They’ve also been busy organizing the various industry conferences, which provide additional avenues for us to network with and gain exposure to our desired future careers. Following CWiB’s first social and fundraising events I was quite excited about the Fall Conference. A few weeks before the conference started, we needed to register for the sessions that we wanted to participate in. After much internal debate (all the options seemed extremely insightful) I decided to attend – “Professional Networking: The Art of Small Talk” and “Negotiations: Discussions with Results”. 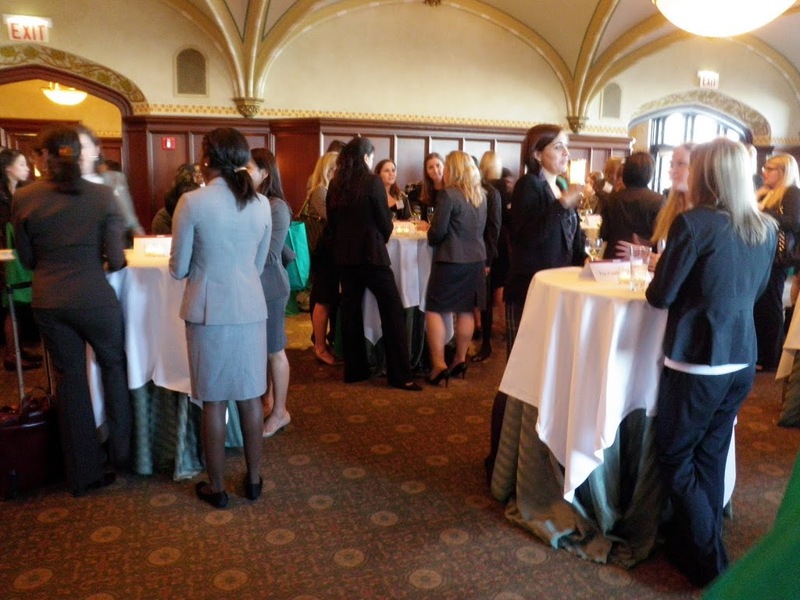 The afternoon kicked off at the University Club of Chicago with a splendid lunch and networking session with many industry women and Booth alumni. Ava D. Youngblood, a Booth alumnus and entrepreneur introduced us to the 8P’s of getting in the game – Preparation, Performance, Passion, Perseverance, Positive Visibility, Presence, Predictability and Play. Personally, my biggest takeaway was her statement that the ‘Executive suite is what you define it to be– it can be that C-suite job, being a mother or being an entrepreneur’. As we start business school and embark on the journey of defining our careers, her words struck home. A big part of business school is identifying and defining what you want out of your career and personal life, and understanding what you value the most. Following the opening keynote address we all broke into our individual panels. My first one on the “Art of Small Talk” was led by P.J. McGuire who provides similar training to various Fortune 500 firms. Her advice on initiating conversations and building relationships with people you meet for the first time was extremely useful. As we shift gears into recruiting season and begin networking with firms all that she shared will be put into good use. My second panel was on “Negotiating for Results.” Our panel included senior leaders at banks and consulting firms. They all shared personal anecdotes of negotiations that had gone well, giving advice on what they thought proved effective. Some of them also told us about when negotiations had gone south and what they learned from the experience. It was comforting to realize that I was not alone in my inexperience negotiating, especially on sensitive topics such as compensation. To wrap up an eventful day, our final keynote speech was made by Gail Evans. A former CNN Executive VP, Gail encouraged us to help each other and make each other powerful. One of the biggest strengths of a school like Booth is the phenomenal people that you meet and the friendships and networks that you build. Gail reminded us that power is all about getting things done and you as an individual define who you are and what power you have. She stressed the importance of using powerful language to define and differentiate yourself – not just at the workplace but in everyday life. Charged by her rhetoric and vivacity we adjourned into a formal networking session with numerous senior business leaders and industry experts. It was a fantastic way to close the day over drinks networking with these women, many of whom are Booth alumni and now leaders in the industries we want to transition into. It was amazing to see the huge alumni turnout that CWiB was able to generate and I look forward to many more Booth conferences over the next two years.